Considering the large number of fraud attempts, it is not surprising that detecting and stopping fraud attacks has become a major priority for organizations. The real leaders in treasury are not only prioritizing the fight against fraud, but they are overhauling their payments processes by investing in a treasury management system (TMS) that enables them to illuminate the many vulnerabilities and challenges posed by antiquated solutions. The organization using a host of different systems to process payments– from banking portals and enterprise resource planning (ERP) systems through to off-the-shelf accounts payable systems and even home-grown solutions. Formatting different payment files for different banks, not to mention managing the connectivity between those banks and the organization’s diverse payment systems. Doing manual reconciliations between the payments that were made and what actually arrived at the bank, as well as making accounting journal entries and updating the accounts payable sub-ledger. Not knowing whether a large payment has been planned, which needs to be funded, or whether substantial sums of cash are needlessly sitting in bank accounts that yield little interest in anticipation of a payment that has been delayed. Managing credentials and tokens for authorized personnel in sub-par systems or across many different platforms. Giving treasurers visibility of large number of payments being made across the organization, including Procurement and Accounts Payable, in real time, which allows them to fund and invest more strategically. Streamlining payment connectivity so that only a single payment hub is uploading payments to the banks. This has the effect of eliminating duplicate costs as well as standardizing payment controls. Offering an automated format transformation service so that payment file formatting becomes a thing of the past. Having a multi-currency, multi-language solution to empower and manage your teams around the globe. 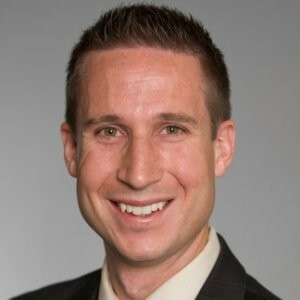 Of course, having a TMS is not just about fighting fraud, and streamlining payments processes – it is also about improving treasurers’ working lives so that less of their time is absorbed with transactional activities, freeing them up to deliver more strategic value to the organization. There is the opportunity to pursue standardization – in other words, treasurers can push their organization to use one standardized bank format for payments globally and to follow standardized processes for making payments, regardless of who initiated them. Also, investing in a TMS with an integrated payments module means outsourcing connectivity, which reduces the organization’s costs in terms of hardware and IT and takes less time to deploy than in-house connectivity. The benefit of real-time fraud detection means that treasury is able to automatically screen for potentially fraudulent activity or quarantine payments based on an organization’s payments policy for further review before a payment is made. Additionally, it could require extra approvals if a payment is being made to a newly modified bank account for the first time, or flag up a payment to a supplier if it has exceeded the average recurring amount. Ultimately, there is no reason why treasurers should suffer the labor of antiquated payments systems– not when a modern TMS can bring fraud protection, automation, centralization and standardization to the process. The biggest challenge our clients face when embarking on a TMS implementation is simply how to get started. There are many things to consider than just the system itself - budget, timeline, team capacity, knowledge of the TMS landscape, fixing processes in tandem with the TMS, successfully running a project to install – all of these are big factors in making a TMS implementation successful. The advice I give my client is to find a trusted partner before selecting the system, or if you’ve already selected, ask the TMS provider for a trusted, certified partner to help you on the journey. There are many great consulting partners, but be sure to select one that has been through the rigorous certification process for particular TMS providers, or who has deep treasury knowledge and experience. 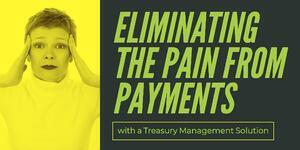 You will see - pain can be eliminated from payments!